Is this phone running dual band WiFi like the iPhone 5? guys does windows phone 8 or specifically the lumia920 support Arabic language and characters ? Anonymous, 22 Sep 2012And you're gonna use ugly cases on iPhone and Galaxy S3 that will weight more than the 920 its... moreI don't think so. Cases aren't that heavy. Besides, I've never need to use a case before and I don't see why I would need one with any of those phones. its still as good today as it was when I got it.. So don't come that one. try charging it up and turn it off once in while. Its like the rest of us. (needs a break). Anonymous, 23 Sep 2012For all you guys who are jumping up and down praising Nokia I want to hear some opinions from ... moreNokia's current situation has nothing to do with unreliability or quality of hardware. Even up to this point Nokia is still seen as one of the best hardware manufacturers. The reason they are in a bad place now is cos they didnt adapt to the markets. They were too late to the touchscreen market and when they jumped into it, they had an OS that was designed with the ideology that it would also be able to directly port into a key/numpad devide with no work (double clicking on touch screens etc), cos they didnt believe touch screens would take off as much as they did. So, by the time Apple had an OS that had great user experience, Nokias was completely horrendous. This changed for the most parts with Nokia N8 and Symbian^3, but they had really fallen off the chart by that time already. While it has never bothered me (N8 user for 2 years), N8 also sort had fairly low specs to run the system, which lead to "not as fluid" experience as some of its competition. TLDR: Nokia's current position as no longer the market leader has nothing at all to do with it's hardware quality, but bad decisions elsewhere. There is not a single other phone manufacturer I personally trust more on hardware side of things than a Nokia. Nokia I feel has to be ready to face the reality when the lumia 920 and alumina 820 don't sell as well as they hoped as they have already killed themselves with the last few phones which did not do well either because of quality and bug issues or did actually get the markets outside the states till a few weeks ago. Who in his right mind wouldmstartbselling phones that can only be upgradable to windows 7.8 when the new phones ate on windows 8. Whoever their marketing genius is should be relieved ofnhisnjob but then again blackberry messed up there and I guess Nokia will follow. AnonD-58186, 22 Sep 2012the return of the kingI suggest you go buy a lumia 900 and see wether you will face the same issues I have been with it and then let's see if you will be praising The King. For all you guys who are jumping up and down praising Nokia I want to hear some opinions from actual lumia owners. I own both and thoroughly enjoyed them till I started having freezing of the screens issues,lag with whatsapp and Facebook messenger and finally recharge issues when the battery is drained completely. Both phones are right next to like two dead bricks. Have to go buy a new phone NOT NOKIA in order to get my phone calls and messages. Unfortunately it seems Nokia still does not understand what quality means which has brought its demise. All you people screaming Nokia is back yay. Don't forget what got it into this lousy position to begin with. If Nokia does not man up and deal with certain serious issues that a lot of lumia owners are facing there is no way it can compete with the quality of htc and Samsung which is already conquering the world. nokia maps still the best, it works even in offline mode compare to ios and android devices that needs 3g signal to activate gps. Shakir, 22 Sep 2012does Lumia 920 supports Adobe Flash?based on the specs no, but it supports html5..
for all those who doubted the LUMIA 920's innovation, heres some tests that proves its ability. 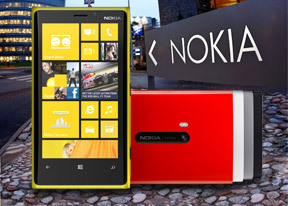 LUMIA 920 IS TRULY THE NEXT BIG THING! 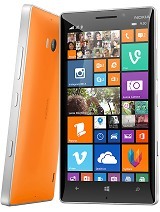 Does anyone know if this phone is going to have the same which I am currently facing with the lumia 900 where the phone does not charge once the battery is fully drained. 24 hours now after several chargers and my phone is still not charging. This is the second time it's happening to me. Imagine having a phone that not only doesone have to make sure you have to charge it before the battery dies but a something as basic as charging a phone is an issue. If you search through google you will find its abhugebissuenwith lumia owners and Nokia does not dare mention,address or remedy. 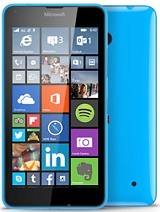 Was looking forward to the lumia 920 now looking forward forma company like Nokia to RIP. htc quality anytime. does Lumia 920 supports Adobe Flash? SAD, 22 Sep 2012it's very pitiful of nokia when it happens that the best nokia phone is struggling to convince... morewhat 'struggling'...?? It doesnt ve a radio hardware probably to better accomodate the camera sensors and all.just read damian dinings' word bout 920 and u ll know that nokia have accomplished a hell of a challenge accomodating the 920 has.and tell u ios too doesnt ve radio. U can better save those data bundles consumed on droid and use them to listen to radio.or use wifi.and for bluetooth...it has already got bluetooth 4.0 wid nfc too! SAD, 22 Sep 2012it's very pitiful of nokia when it happens that the best nokia phone is struggling to convince... moreHi just in reply to your post. Nokia lumia 920 has Bluetooth. And its been reported its getting 4.0. . As for radio, Nokia have a great radio app that works on your location. It does use your 3g time.also WiFi. But I don't think that's a problem because if your going to get a windows product ,your better off with unlimited data plans. Same for iPhone and Samsung. . But if that doesn't suit you just get a different phone mate.